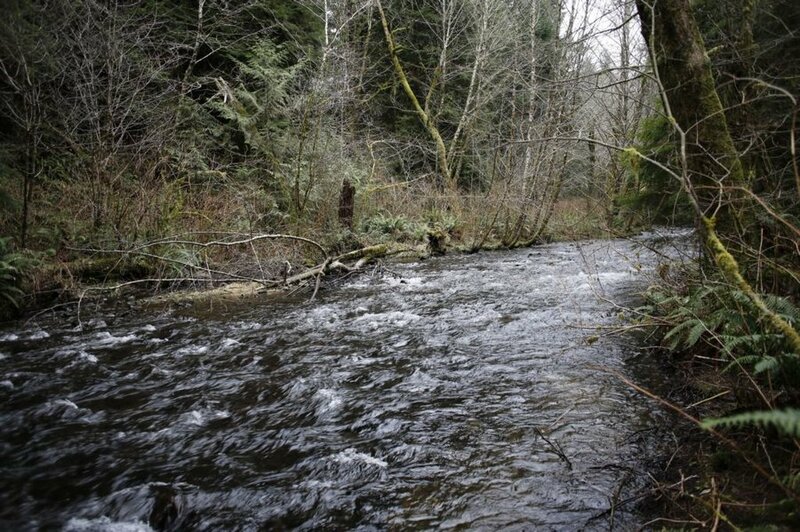 Gnat Creek is another Oregon fishery that is supported by a hatchery. Fin Clipped coho are available runs of chinook and steelhead as well. Spring chinook enter the river as early as April and run till September when the river is closed to ensure the hatchery gets their eggs take. Once the river opens up again Coho start running peaking October and tapering in November. Once the coho action starts to drop off Winter Steelhead begins with steelhead runs that peak in Decebmer and January, then tapper through February and March. The lower is open year round for Coho and steelhead and chinook opens in the summer but closes in September then reopens in October. This fishery generally allows 2 adult salmon and or 2 steelhead per day. Also up to five jack salmon per day allowed. Barbless hooks are required when fishing for salmon or steelhead on most Oregon rivers.